Welcome to the three hundred and seventy-fourth of my blog interviews with novelists, poets, short story authors, biographers, agents, publishers and more. Today’s is with historical / romance author Kristy K James. A list of interviewees (blogged and scheduled) can be found here. If you like what you read, please do go and investigate further. Morgen: Hello, Kristy. Please tell us something about yourself. Kristy: Hello, Morgen. Hopefully this part won’t put your readers to sleep because I’m just an average person. A mom, a cook, a housekeeper and pet owner based out of Michigan. Morgen: Not average at all, a multi-tasker. I’ve very ordinary, just run a house, one dog, no family. I did wonder when I started writing what I had to write about but then my imagination took over. 🙂 How did you come to be a writer? Kristy: I became interested in the whole storytelling process when I took Creative Writing in 9th grade. Technically I only did it because that’s where the school paper was produced-and my goal was to be one of the reporters. Why? Because I had a crush on the student teacher in my drama class… and I wanted to interview him. I did get to do the interview, but over the course of that year, fell in love with writing – and I just never stopped. Morgen: A student / student teacher crush, now there’s a story. 🙂 What genre do you generally write and have you considered other genres? Kristy: If I had to narrow it down to one genre, it would probably be romance. I’ve also written an historical romance, a Christian romance novel, and historical / literary fiction. I’m currently plotting a YA fantasy series that I hope to get started on within the next year. Morgen: All very popular. What have you had published to-date? Kristy: I have four books available on Amazon.com right now. Kristy: I do not have an agent. Ten years ago they were a key to an author’s success, but with the way the publishing industry is going these days, I’m not sure they’re necessary. That’s not to say that I would never consider having one, but for now… I’m not looking. Morgen: I’m sure if we were approached we’d be tempted. 🙂 Are your books available as eBooks? Were you involved in that process at all? Do you read eBooks or is it paper all the way? Kristy: All of my novels are available as paperbacks and eBooks. And yes, I’ve been involved in every step of that process. Do I read eBooks? Since purchasing a Kindle last year, I do. I still prefer paperbacks, but am slowly accumulating a digital library. I especially like the fact that I can download a heavy, hardcover book from Amazon to my digital, lightweight eReader. Morgen: Ditto. My house would be far emptier if I switched to Kindle only but I love having the option. How much of the marketing do you do for your published works or indeed for yourself as a ‘brand’? Kristy: While I’m not a good salesperson, I am learning. Mostly I try to brand myself because I don’t like hard sells, and constantly pushing my novels would fall into that category-at least in my opinion. Morgen: I’d agree. I’m rubbish at marketing myself but I think the trick (which sounds devious but isn’t) is to get others to market you, which is part of the reason I blog… although really enjoying it has made it what it is, and all the guests of course. Do you have a favourite of your books or characters? If any of your books were made into films, who would you have as the leading actor/s? 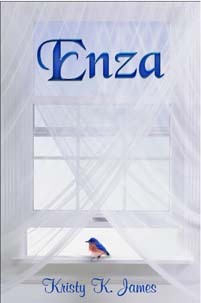 Kristy: Enza is far and away my favorite book, with my favorite character being Elliot Owens. I had originally pictured him as a young Sam Waterston because he was such a good father in I’ll Fly Away (a short-lived series in the early 90’s). I’m kind of leaning toward Matt Damon now, after seeing him in We Bought a Zoo. Morgen: I didn’t see that film but I do like him. He’s very versatile. Did you have any say in the title / covers of your book(s)? How important do you think they are? Kristy: I worked very closely with the graphic artist who creates my covers. Sometimes I give her an idea of what my vision for a cover is, and sometimes she surprises me. I think covers are extremely important. So much so that I have probably missed out on reading some good stories because a cover turned me off the moment I saw it. Yes, it’s what’s in between that really matters, but if the first impression-the cover-isn’t appealing, I probably won’t even read the blurb. Morgen: It’s hard these days with so many books on offer. It’s finding somewhere between dull and flashy… simple and classy I suppose, which yours is (and I’m not just saying that). 🙂 What are you working on at the moment / next? Kristy: I am currently working on two WIPs. One is the third in my Coach’s Boys series. The other is a romance born of the dream every little girl has – to be whisked away by her knight in shining armor. Kristy: I try to write every day. But when you’re editing and getting a book ready for launch, it’s hard to concentrate on anything except that. You want to put out the best, most error-free story you can, and it can take a lot out of you. I definitely suffer from writer’s block. There are times when scrubbing the bathtub, sweeping down cobwebs, or organizing the garage seems like easier-and more appealing-chores than writing. Morgen: We’re good at that aren’t we – mine’s defrosting my freezer. Do you plot your stories or do you just get an idea and run with it? Kristy: I’m a plotter. I need to know where I’m starting, where I want to finish and, most importantly, whether I can make the middle interesting enough to make it worth investing a few months of my life to write it. Morgen: Can’t have a saggy middle. 🙂 Do you have a method for creating your characters, their names and what do you think makes them believable? Kristy: As a matter of fact, I do. I keep a baby names and telephone book handy for naming characters. And, in addition to compiling the usual background information for each of my main characters, I also ‘interview’ them. I felt a little silly doing that at first, but now I get into it so much you’d think I had a multiple personality disorder. One ‘interview’ helped me understand where the main female character was coming from, a good thing since I didn’t like her at all in the beginning. Now that I really know her, and what led her to where she is today, she’s one of my favorites. Morgen: One of the exercises I set in my Monday night writing workshops is to pick a couple of magazine pictures when complete a character chart. It lists name, nickname, nationality, age, job, hair colour, height, weight, favourite music, favourite food, regular saying, relationship, children, siblings, religion, aspirations and quirks. That can be really fun. 🙂 Do you write any non-fiction, poetry or short stories? Kristy: I did write a book about my experience following an auto accident, a short story for a writing contest, and have dabbled in poetry. But I love writing novels so that’s what I spend the vast majority of my time doing. Morgen: I write short stories in the main as I have snatches of time but have done NaNoWriMo four times (2008-2011) and find if I’m given a deadline (challenge) I can find the time… providing my freezer’s defrosted of course. Do you do a lot of editing or do you find that as time goes on your writing is more fully-formed? Kristy: Through the years I find that my first drafts are much closer to the final draft than they used to be. But I still do a good bit of editing. I want people to be glad they spent a few hours with my characters, so I make sure the stories are the best I can possibly write. That means plenty of editing. Morgen: And presumably some more from your writing partner and beta readers. 🙂 I do know a couple of authors (who shall of course remain nameless) who self-edit then self-publish (as eBooks). One has written a lot so their writing is good but the other is a newbie and although the writing’s pretty good, there are holes. As the saying goes, you only have one chance to make a good impression, and you don’t want to waste it. Do you have to do much research? Kristy: It depends on the book. I spent many months researching for Enza, and I’m finding the YA series I want to do is requiring a great deal as well. Sometimes you just have to invest the time, if you want to write with any degree of expertise. Morgen: And your readers will thank you for it. What point of view do you find most to your liking: first person or third person? Have you ever tried second person? Kristy: I prefer reading-and writing-in the third person, though I have a few favorites written in the first. I’ve never tried anything in second person. Morgen: Oh it’s great, I love it. Not everyone does but I’m a champion of it and it has its own page on this blog. Do you have pieces of work that you think will never see light of day? Kristy: Oh of course. I have dozens of notebooks filled with what might be labeled today as fan fiction. When I was first getting started I liked to practice dialog by using characters from my favorite television shows and movies. The only light those ‘stories’ will ever see will come from a match. Morgen: No! You can’t. 🙂 You might want to either look back and see how far you’ve come or do something with them because fan fiction is incredibly popular. What’s your favourite / least favourite aspect of your writing life? Has anything surprised you? Kristy: These days I’d have to say marketing. It’s a necessary step in getting the stories into the hands of readers, but it’s very time consuming and, frankly, I’d rather be writing new stories. Before that it was reading my books for the fourth or fifth time over the course of a few short weeks to make sure they were as perfect as I could make them. Morgen: This is where an agent, editor, publisher etc would come in handy. We’re writers, we want to be writing. What advice would you give aspiring writers? Kristy: Read-and then read some more. The best way to write good books is to read good books. I think it’s also helpful to read lousy books so you learn how not to write. Morgen: And there are plenty of those. If you could invite three people from any era to dinner, who would you choose and what would you cook (or hide the takeaway containers)? Kristy: Mark Twain, Albert Einstein and Bruce Willis. Since I get the most compliments for my lasagne, that’s what I’d make for them. And probably my white cake, layered with vanilla pudding, frosted with sweetened whipping cream, and topped with cherries. Morgen: Can I stretch that to four people? 🙂 Yum. Is there a word, phrase or quote you like? Morgen: Absolutely. Explore (find creative writing group / classes), dream (want to quit your day job), discover (I did quit two months ago!). 🙂 Are you involved in anything else writing-related other than actual writing or marketing of your writing? Kristy: Last year I started ‘beta reading’ for other authors. I like to think of it as a more productive way to get my reading in… and to learn more about my craft at the same time. Morgen: And a great way to help others. What do you do when you’re not writing? Kristy: Of course I read, and spend a lot of time with my family. I like to decorate cakes and put together flower arrangement. Lately I’ve been getting together with my aunts and uncles to video tape them talking about what life was like when they were growing up. In November and December I got to work with them on a flash mob dance. It was a lot of fun for me and for them. Especially when they surprised everyone with their performance at the big family Christmas party. Morgen: And you could write a book about them. 🙂 Are there any writing-related websites and/or books that you find useful? Kristy: My favorite website, and the current love of my life (outside of Bruce Willis) is Google. Anything I need to find, I can find there. My favorite book for writing is ‘How to Write Fast While Writing Well,’ by David Fryxell (available from Amazon.com). Good writing means developing good organizational skills, and Mr. Fryxell can help with that. Morgen: That’s a new one to me but it does sound good. Are you on any forums or networking sites? If so, how valuable do you find them? Kristy: I find Facebook to be very valuable, and I’m trying to learn to love Twitter. And I will. It’s just a matter of trying to work it into my schedule. Morgen: Without letting it take over. What do you think the future holds for a writer? Kristy: I believe there are – and will be – more opportunities for writers than ever before. Places like Amazon and Smashwords make it easy to get your writing out there – but that’s both a good and a bad thing. Serious writers will have to focus on putting out quality work more than ever before if they want to stand out from the crowd. Morgen: They will. A slow process sometimes but as the saying goes “good things come to those who wait”. Where can we find out about you and your work? 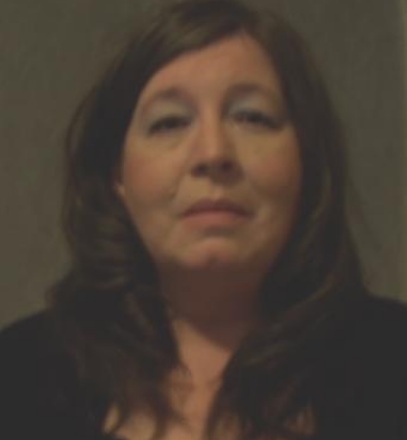 Kristy: Anyone interested can find out about me at http://kristykjames.wordpress.com. I have a link to my blog and books there. Kristy: How do you get to be as organized as you are? Morgen: <laughs> being a secretary for over 20 years, having too little sleep, although giving up the day job certainly helped! Thank you, Kristy. Kristy K. James‘ first goal in life was to work in law enforcement, until the night she called the police to check out a scary noise in her yard. Realizing that she might someday have to check out scary noises in other dark yards if she continued on that path, she turned to her other favorite love… writing. Since then, her days have been filled with being a mom and reluctant zookeeper (7 pets), creating stories and looking for trouble in her kitchen. Always love your interviews! Thanks for taking out time for my clients!